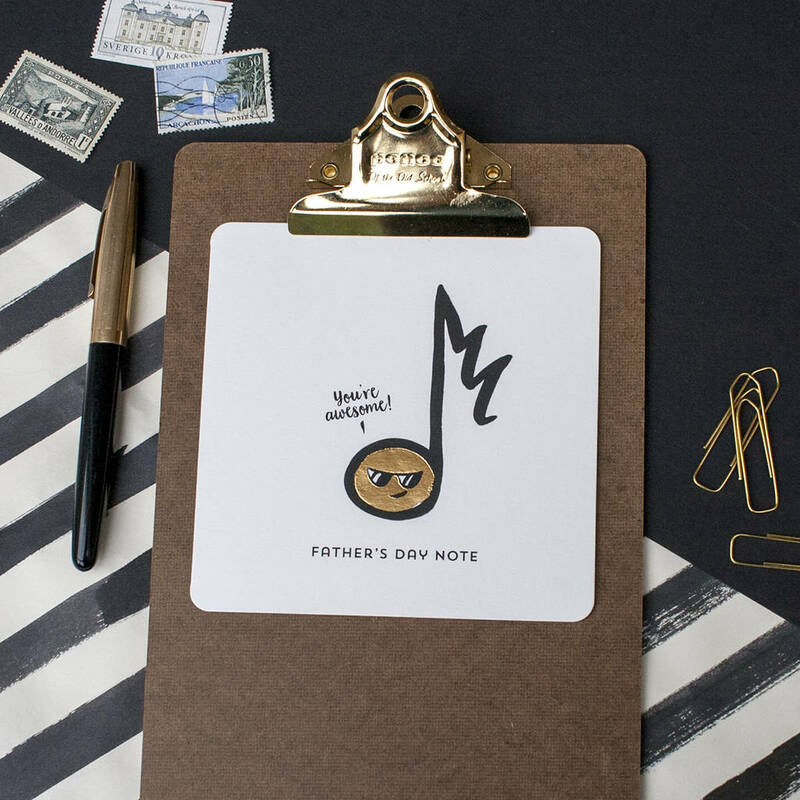 A playful fathers day card of a music note stud characture wearing sunglasses looking cool. Gold foiled, hand painted using brush and ink. 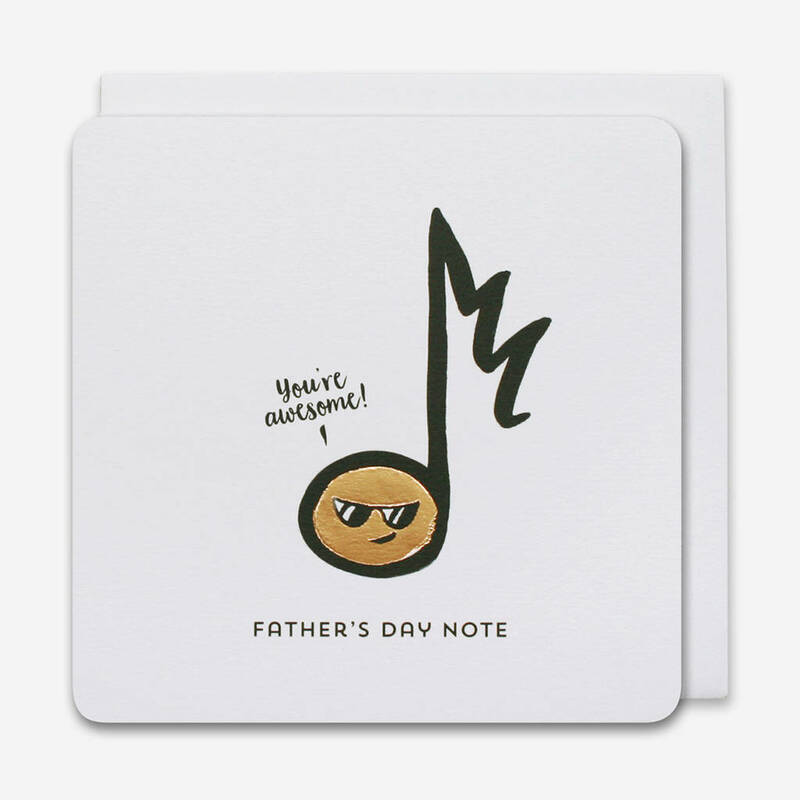 A playful fathers day card of a music note stud characture wearing sunglasses looking cool. The caption reads 'Fathers day note' Hand painted with brush and ink and gold foiled. The card is blank inside for your own special message. 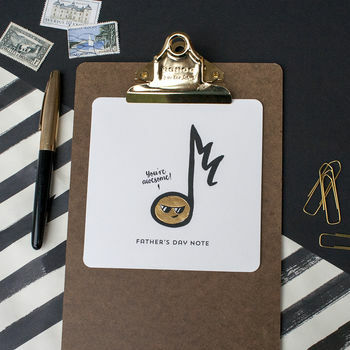 An ideal fathers day card for a stylish funky dad.